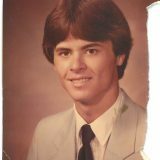 Kevin Dean Morgan, age 51, of Emory, passed away, unexpectedly, Monday afternoon, June 12, 2017 at Christus Mother Frances Hospital in Sulphur Springs. He was born Feb. 25, 1966, in Duncan, OK, to Walter Claude and Kay Frances Sullivan Morgan. He graduated from Rains High School. Kevin married Betty Ann Hicks in Emory, on May 11, 1984. He was employed with Saputo Dairy Foods in Sulphur Springs. Also, Kevin was a member of First Assembly of Yahvah. Cremation arrangements have been entrusted to Wilson-Orwosky Funeral Home. Memorial service will be held 10:00 am, Friday, June 16, 2017, at First Assembly of Yahvah.